Steins;Gate – 2011’s Must See Anime! Three weeks in a sultry August, anything could happen. And it does, over and over and over again. Starring Okarin, a college student who styles (and LARPs) himself a mad scientist, his hacker buddy Daru, his childhood friend Mayushi, and the rest of their growing circle of friends, Steins;Gate was the sleeper hit of the summer. Bursting at the seams with Otaku jokes and on-purpose cliches, this is a show that took apart all the expected and overdone anime tropes and rewove them into something ground breaking. 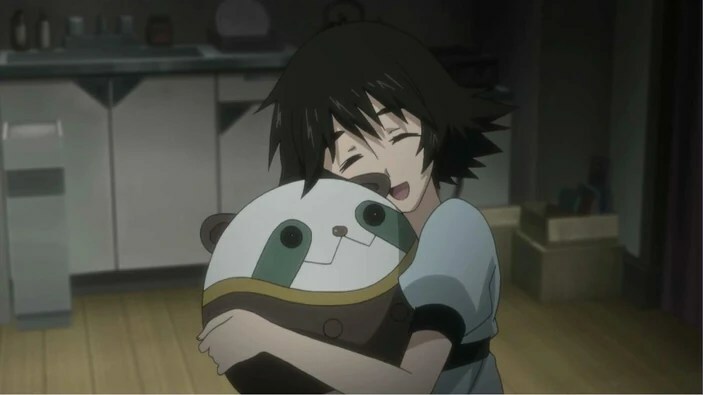 This is my third post on Steins;Gate, so feel free to get yourself caught up by reading my first reactions to the show, and my mid season post. Really, go read them, as this post may not make much sense otherwise. but now, after 24 episodes, Steins;Gate is over. Over three sultry weeks one August, a time machine was created, used, abused, and a choice regarding it’s uncreation had to be made. Okarin and his friends used the time machine to create the lives they wanted. Feyris used it to spend more time with her father, Ruka uses it to be born a little different. Suzuha tries to use it to find her father. Everyone takes a turn to change something from their past. But everytime the time machine is used, the world line, our dimension, shifts a little. The city and the people who live in it change a little. Not as much as you’d notice, but an avalanche starts with one snowflake. Everyone gets what they wanted, but no one wins. 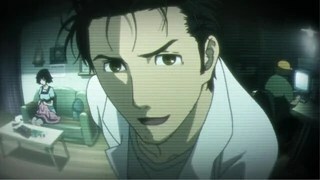 And only Okarin can stop what’s happening. I travelled with Okarin as he lost Mayushi and tore apart everything in his life to find her. I bit my nails down to the quick every Tuesday night when the new episodes aired, and wondered who would survive, who would be sacrificed, and who the hell F.B. was. (hint: it’s not facebook, that’s for sure). The show starts out all fun and silly and trope spoofy, and before you know it, it’s taken a turn for the deadly serious. As alluring as a time machine sounds, if I ever came across one, I’d run, and I’d run fast. Steins;Gate taught me that much at least. 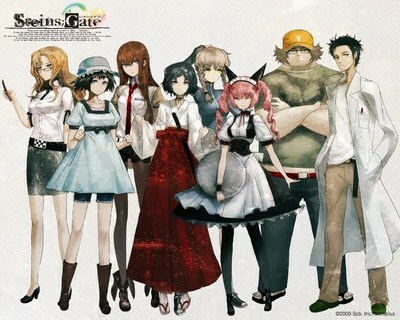 Steins;Gate is the best anime I’ve seen all year, and certainly one of my top five all time anime series. Even if you’re not into anime, even if you think LARPing or cosplay or maid cafes are dumb, give this show a chance. The music, the voice acting, the writing, the twists and the turns – it doesn’t get much better than Steins;Gate. Even better, the show just got green lit for a movie. And guess who I’m gonna be cosplaying as next year? hint: I’ll have to straighten my hair and buy some black leggings. 1 Response to "Steins;Gate – 2011’s Must See Anime!" You better post pics of you in that costume!!! This series sounds so great and I will definitely be watching it. Unfortunately it doesn’t appear to be on Netflix streaming yet so I won’t be seeing it any time soon! I’m not sure what I would do if I got a time machine. I do believe the temptation would be too great not to use it, but maybe I’d wait until I was much, much older to give in to that temptation.